Once I landed in Montreal for the summer, I was met at the airport by my sister and, as we always do, recollected and shared what we had been up to the past six months, since we last saw one another. Finishing her penultimate semester at university, she described a multitude of experiences from case competitions to internships, but what sparked my interest was the startup environment in Montreal, which she described. Being just as excited about new businesses and products as I am, she spoke of countless startups, each with their own innovative endeavours, but the one that truly caught my attention was Näak with its avant-garde cricket-powered energy bar. I contacted the company almost immediately after reading about its undertaking. 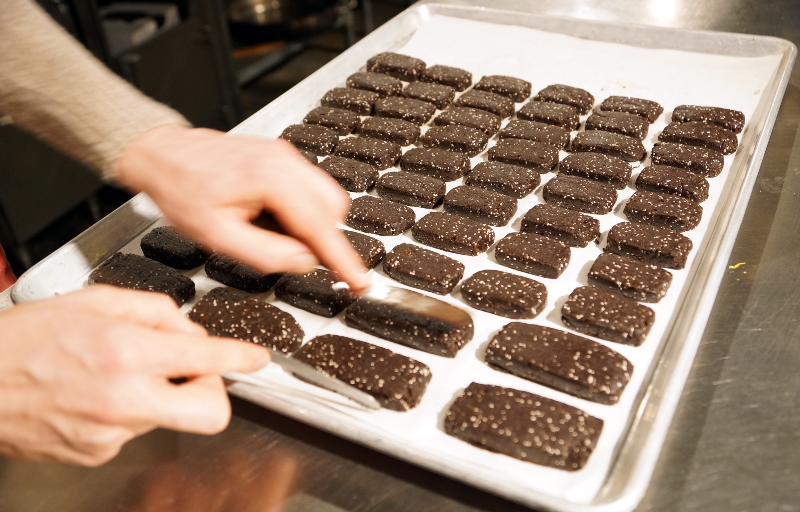 The innovation behind a premium cricket-powered protein bar completely captivated me because the future of sustainable food is insects and cricket is an upcoming superfood. Additionally, Näak was just about to unleash its first product and as I was pursuing my degree in Finance. I knew at this stage of development there was a significant learning curve I could benefit from and there would be an opportunity where I could apply what I learned at school. The application of my degree was what I wanted to exercise and looking back, there was no better choice than to join the Näak team. Without tangible experience, all the lessons, exercises, and exams at university only remained a hypothetical connection to the real world. Näak presented the right set of circumstances and platform where I could employ the new skills I had gained over the previous two years. Soon after, I learned Näak had the exciting and stimulating working environment where I could push and dedicate myself the way I intended to. A few days later, I went to meet the three cofounders, William, Antoine, and Minh, to learn about what I could offer them and what they could offer me. Shortly after our meeting, I was certain I would be back working with them the following week, and I was. The experience of a new industry, new challenges, and a new finance-directed role tailored for me were precisely what I wanted. However, what made my time in Montreal with Näak so enjoyable, was the team. The team highlighted the invaluable characteristics for success necessary within a very competitive startup environment. Today I am certain the team will succeed in growing Näak to the forefront of the energy bar niche. It is not solely their fantastic product propelling this future, but it is their inspiring unrelenting tenacity, hunger, and resolve, which is made possible by their complete belief in the products they are creating. 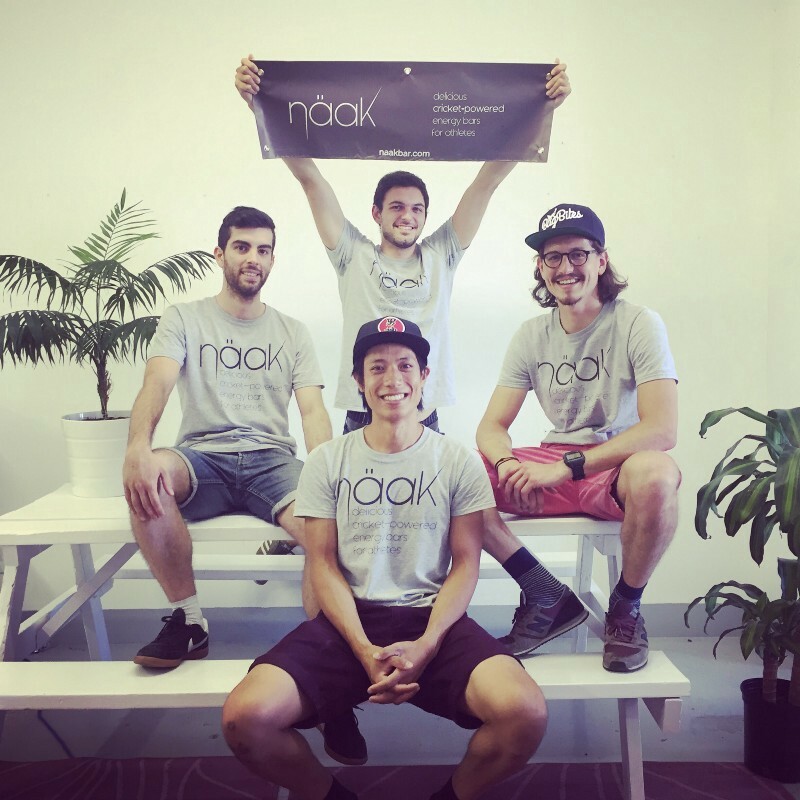 William and Minh are both triathletes and part of the consumer base Näak is benefiting, and Antoine is the nutritionist of the three and fascinated by entomology. As I worked alongside them, it was abundantly clear they were entirely committed to their passion. What made my time in Montreal with Naak so enjoyable, was the team. The team’s support and trust pushed me out of my comfort zone and I was able to get lots of experience from manufacturing the product, to contributing to the business plan, and building the sales forecast and budget. Four years prior to me arriving on Näak’s doorstep, I was in high school and gave up learning French to pursue economics and statistics rather than a language. But once I began to work at Näak it was ignited once more as William, Antoine, and Minh all are from France and predominately engaged in French. They accommodated my presence fully, almost entirely speaking in English and at every lunch they would take part in a French lesson for me. This continued until I was nearly able to fully comprehend all their conversations. Not only was I given the opportunity to practice my French, view how a firm expands, and witness how startups persevere against all their adversity, but I was granted the chance to be part of a team to be envious of, exhibiting exemplary organization, determination, and diligence. Since I landed in Montreal and my sister introduced me to the idea of Näak, I was given my first introduction into the entrepreneurial world and I have gained immeasurable insights in the scintillating Näak environment. It was a privilege to join Näak as it develops from an emerging company into a flourishing enterprise. 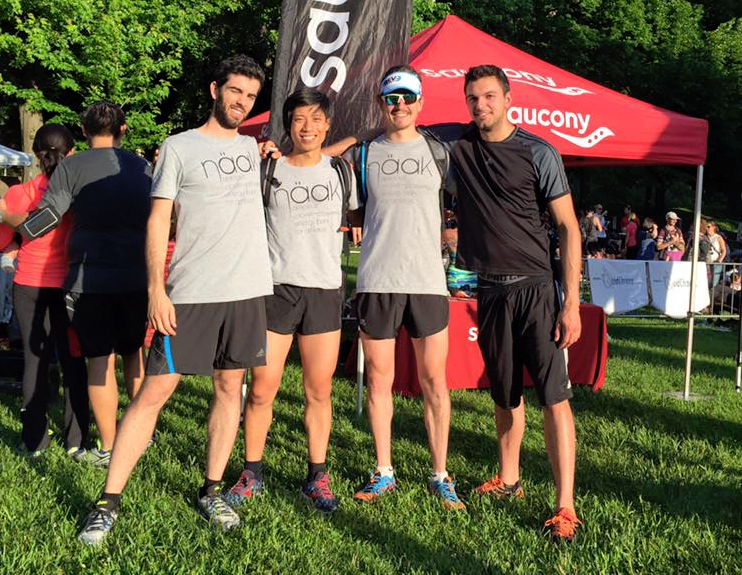 We participated to many sport events and races including the 5km running race “La Montée Royale” on Mont-RoyalIf you want to get promos and more updates on Naak, subscribe to our newsletter.